DAYTON — Gudorf Law Group, LLC has announced the hiring of attorney Rachael A. Houck, J.D., to oversee its Elder Law Department. 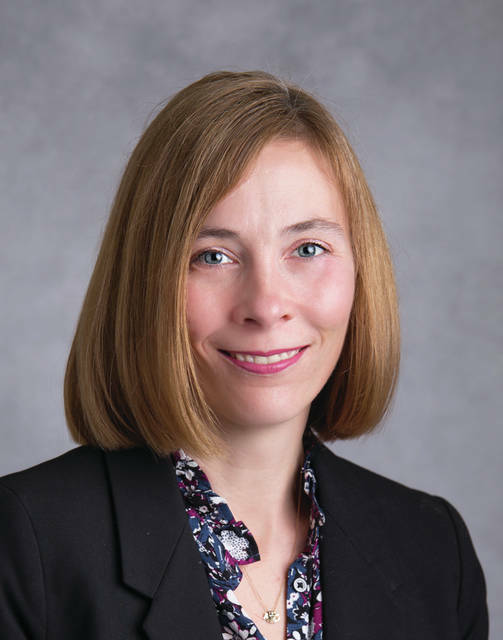 An alumna of the Michael E. Moritz College of Law at the Ohio State University, Houck spent nearly fifteen years of practice in respected Columbus, Ohio law firms. A native of Centerville and graduate of Alter High School and the University of Dayton, Houck is happy to be back in the Dayton area and close to family. In addition to overseeing the Elder Law Department at Gudorf Law, Houck has been tasked with assisting Managing Attorney Ted Gudorf in expanding the firm’s Crisis Services Department, including broadening the department’s scope of services in Medicaid and nursing home related matters. Houck is a member of the National Academy of Elder Law Attorneys (NAELA). When not practicing law, Houck is active in the community as a volunteer youth soccer coach and as a volunteer at her sons’ school. She also enjoys running and spending time with her four beautiful children and her extended family. Gudorf Law Group has expanded in recent years with offices in Clayton, Troy, and Centerville. It is the greater Dayton region’s only AV Rated boutique estate planning, tax advisory, and elder care law firm. Its staff now exceeds 15 employees including 5 attorneys and 5 paralegals. For more information go to www.DaytonEstatePlanningLaw.com or call 937-898-5583.